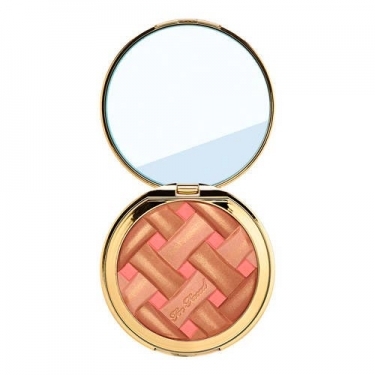 DESCRIPTION: Sweetie Pie Bronzer from Too Faced is a tanning powder with a matte radiant finish. Features 4 shades on the same product to set, highlight and sculpt for a radiant look, a smooth, flawless look that smells as good as it looks. Pearlescent micro-pigments leave the skin with a sun-kissed glow effect, but no gloss. Apply to the cheeks, forehead and chin using a brush.